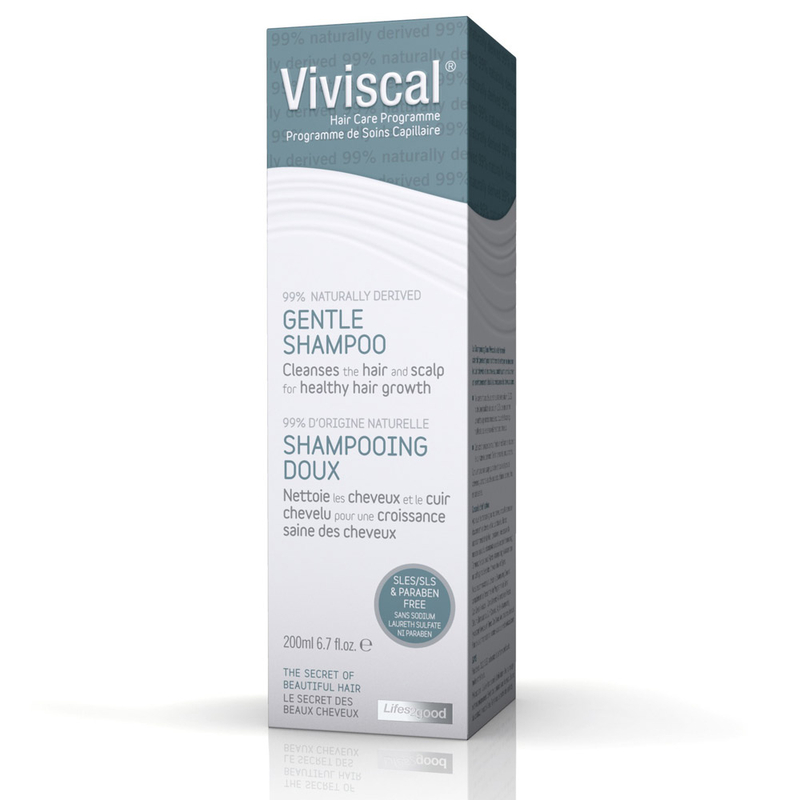 Viviscal Gentle Shampoo which is 99% naturally derived cleanses the hair and scalp for healthy hair growth. Viviscal Gentle Shampoo has been scientifically formulated to strengthen and gently cleanse your hair and scalp to help create the ideal environment for healthy hair growth. SLES/SLS-free for gentle effective cleansing with less lather that doesn't affect the hair's cell renewal process. Unique Multifruit extract gently exfoliates to remove dead skin cells from the scalp. Panthenol conditions the scalp and helps keep hair strong and healthy. Suitable for everyday use and all hair types including dry, damaged, colour treated, fine and thin hair.